The first line of defense in fire protection is your fire extinguisher. 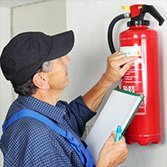 For home, business, boat or car, never be without a quality inspected and serviced fire extinguisher to protect lives and property. For 20 years, the place to go for people that need there fire extinguisher inspected or recharged that live in the greater Tampa area has been All Florida Fire Equipment. A specialized, well-designed and maintained kitchen fire suppression system is vital if you own a bar or restaurant. In the greater Tampa area, All Florida Fire Equipment provides critical fire protection services to a number of food service establishments. Let us be sure your business is safe and meets all fire codes. 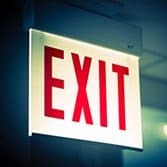 Exit and emergency lighting systems are not something to take for granted if you own a business in the greater Tampa area. An emergency lighting system from All Florida Fire Equipment can make the difference between life and death. If the lights go out, don’t leave your business in the dark. 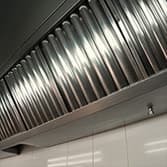 If your business involves cooking food, then you know how quickly fire danger builds up if you don’t maintain a strict schedule for cleaning your kitchen hood and exhaust systems. 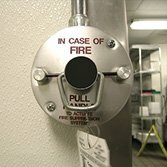 Many restaurants in the greater Tampa area use All Florida Fire Equipment to keep their kitchen fire suppression systems in top working order. All Florida Fire Equipment is the undisputed leader in providing fire protection services and equipment in the cities of Tampa, St. Petersburg, Clearwater, Lakeland, Largo, Sarasota, and Bradenton. We are not only your business partner in meeting your needs for fire protection, but we are also your neighbor. We are a family owned and operated business with deep roots in our community. At All Florida Fire Equipment, we combine the latest in modern technology with the old-fashioned values of doing a quality job at a fair price. Whether we are servicing, recharging and inspecting your fire extinguishers, installing your emergency lighting system, or installing the latest in fire suppression systems for your boat or kitchen, you will always have our commitment that no job is finished until you are happy. We know that it is our dedication to service that will make our business continue to grow. Let us show you why so many of our customers return to us year after year to meet their fire protection needs. You can give us a call at 727-525-5950, email us at service[at]allfloridafire.com, or fill out our easy Contact Us form, and we’ll reach out to you.